Christmas is right around the corner, there are only a couple days left before the big day. I have most of my shopping done and I will be getting the last thing tomorrow. Then...the wrapping. I can't stand wrapping. I am not good at it. I got a perfect item from BrandBacker that you can get right at Wal Mart. It's a nail polish and nail dryer kit! It's so cute! This would be the perfect gift for any person that is into nail polish or even makeup. Here is the top of it, you can see that it comes with six polishes. 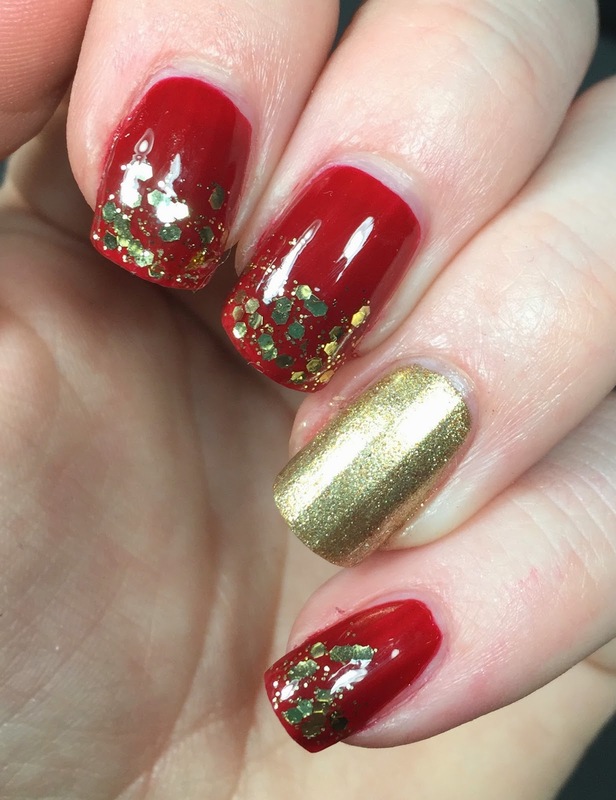 I used three of them to create a nice holiday mani at the end of the post. The base of the set is a dryer for your nails. You just pop your hand in there after you are done painting, press down and it will dry your nails for you. The battery compartment is in the top of it, under the nail polishes. It's nice that it runs on batteries, no cords to worry about. 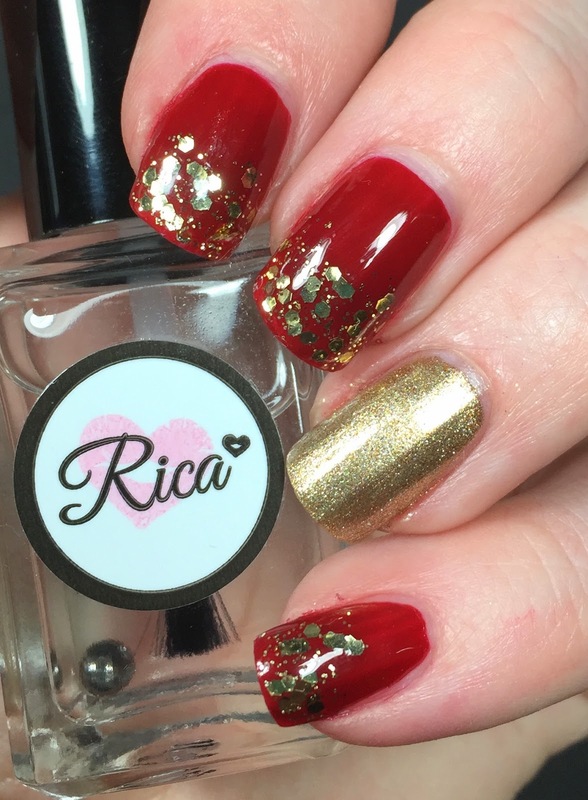 I used glam, love affair, and girly to create this mani. Two coats of glam and girly, then I dabbed on love affair to finish it off. The formula was great on these. I was pleasantly surprised. They are wearing well thus far too. So if you are in the market for a quick present just check your local Wal Mart and see if they have any of these in stock! I didn't not get this product early enough to do a much more in depth review. But I was very impressed with what I did see. Looks like a fun little gift set.